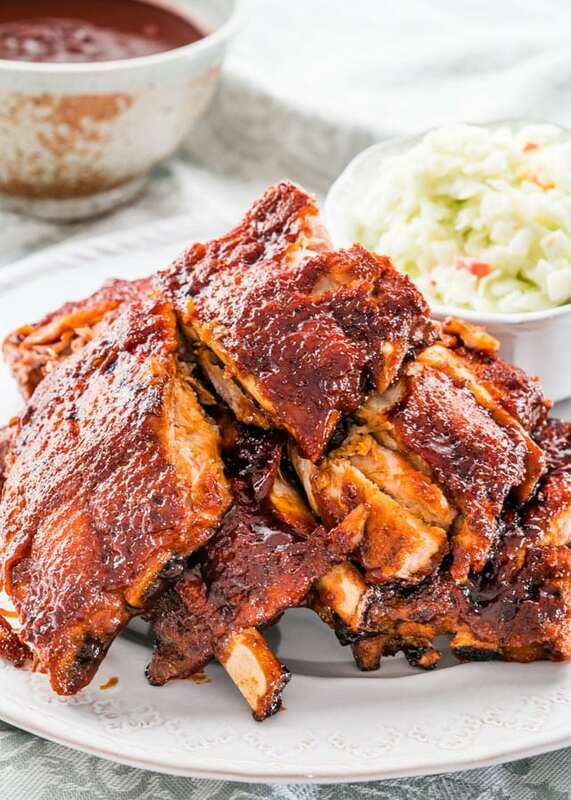 These Instant Pot BBQ Pork Ribs are fall off the bone tender, delicious and super sticky from a delicious Whiskey BBQ sauce, but most importantly can be on your dinner table in under an hour! 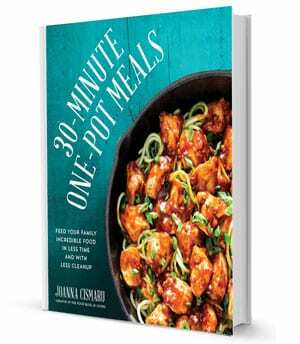 I’ve been using my Instant Pot for about a month now and I’ve been sharing some recipes with you guys and I really really hope that you bought or are planning on getting one, because it’s seriously one of the best pots you could have in your kitchen. Why? Because it’s like 7 pots in one. That’s why. You can throw away your slow cooker, throw away your pressure cooker, rice cooker, you name it, this pot will do it all. Which is why I’m in love with it. Everything I’ve made in it so far has been outstanding. Which brings me to these ribs. I usually don’t make a lot of ribs because I always think they’re too much work or they take too long which is why I usually order them at a restaurant. These baby back ribs only take 20 minutes in the pressure cooker and they are fall off the bone tender. They were so tender, you really have to be careful when you take them out of the pot because they could break on you. My biggest dilemma with this recipe was whether or not to put a dry rub on them and in the end the dry rub won. I was afraid that once I added all the liquid to the Instant Pot my ribs would wash out in all the apple juice. Thankfully they didn’t and they retained all those wonderful flavors from the dry rub, which is great because that dry rub just give the ribs that much more flavor. I also made an incredible Whisky BBQ sauce, because let’s face it, is there any other kind? If you haven’t had Whiskey in your BBQ sauce yet, you haven’t lived, so I strongly urge you to make this and try it. It’s finger licking good. The hardest part about this entire recipe is to wait for the pressure cooker to release all of that pressure from the inside, which is why this recipe takes about an hour, but most of the time is just waiting around, which is really hard, trust me. Your house will smell amazing and your neighbours will come knocking. 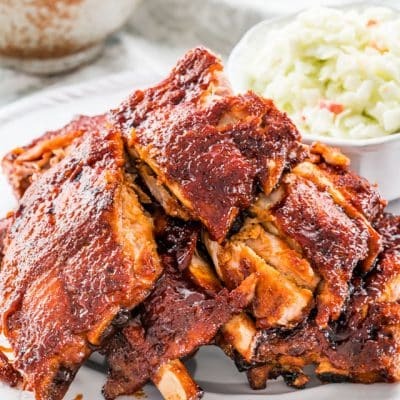 Once you can finally open the Instant Pot you will want to brush these baby back ribs generously with some of that BBQ sauce and then you must place them under the broiler for just about 5 minutes. Make sure you keep your oven door open, otherwise your fire alarm might go off. It’s like I’m speaking from experience or something. Hey, all that’s left to do is eat and be merry. You’ll have plenty of BBQ sauce leftover to use as a dipping sauce. 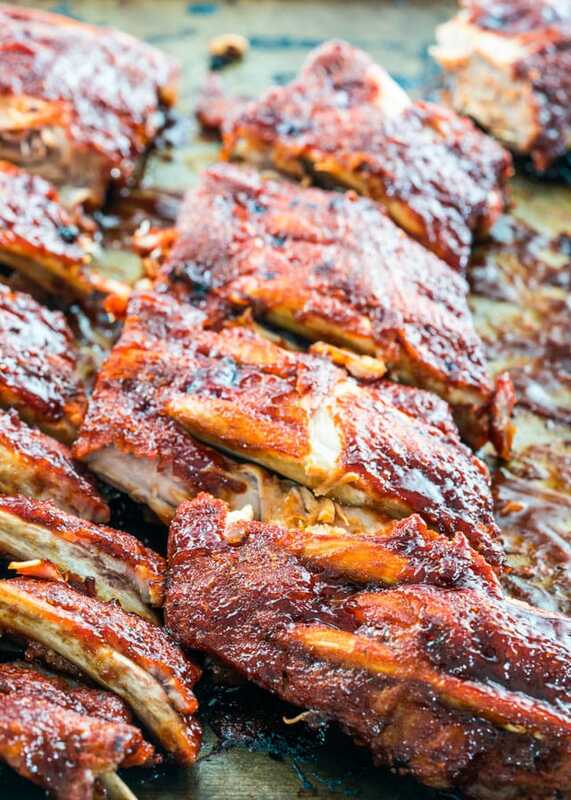 Trust me, these will be some of the best baby back ribs you’ll ever have. If you’re a fan of the Instant Pot, check out my Instant Pot Chicken Shawarma! I must admit I don’t always do this, but in case you want to, here’s how. Slide a dinner knife under the membrane and over a bone starting at one end of the rack. The membrane should come off in one whole piece. Prepare the dry rub by combining all the dry rub ingredients together in a small bowl. 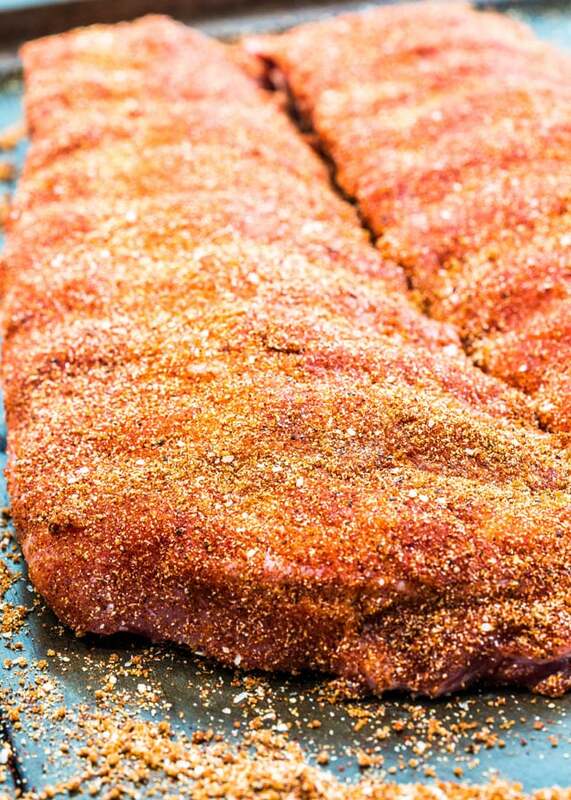 Season the baby back ribs with the dry rub generously on both sides. Place the ribs inside the Instant Pot, standing up and wrapping around the Instant Pot. Pour the apple juice, apple cider vinegar and liquid smoke inside the Instant pot, no need to stir. Close the lid (follow the manufacturer's guide for instructions on how to close the instant pot lid). Set the Instant Pot to the Meat/Stew setting and set the timer to 20 minutes. While the ribs are cooking prepare the BBQ sauce. In a small saucepan add all the BBQ sauce ingredients and stir to combine. Simmer on low heat for about 20 to 25 minutes, the sauce should reduce a bit. 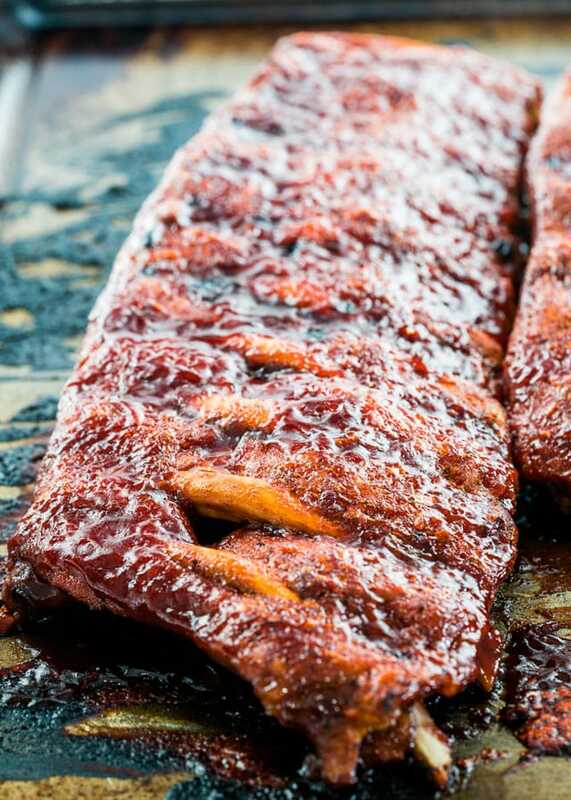 Carefully remove the ribs from the Instant Pot and place them onto a baking sheet. Brush them generously with the prepared BBQ sauce on both sides and place under the broiler for about 5 minutes. Keep the door to your oven open while broiling the ribs and keep an eye on them, because they could burn quickly. Serve with leftover BBQ sauce. Best ribs I’ve ever made. Screw my smoker for ribs. This is the way to do ribs. Only tweak I make is rubbing the ribs with yellow mustard first, and then I put the dry rub on. Also, instead of 4 cups of apple juice, I do 1 cup of Sam Adams Lager and then 3 cups of apple juice. This is going to be a dumb question but is that 3-4 lbs per rack or 3-4 lbs total? Has anyone found a use for the liquid left in instant pot once ribs are removed? You can reduce it and add it to the BBQ dipping sauce! Maybe I missed it, but please clarify the pressure setting: Low, Normal, High? These are amazing! I had a question…if I wanted to make these in advance for company, could I just do them in the instant pot and keep them on ‘warm’. Then when my guests arrive, take them out, put the barbecue sauce on, and then broil? Or would it be better to take them out, put the barbecue sauce on, wrap them in foil and then bake them in the oven on low for a bit before serving? 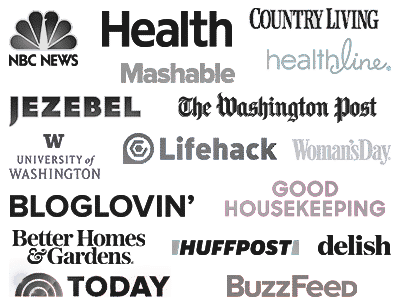 Thanks so much…I’m used to doing the slow cooker method but so happy to cut the time with the instant pot. Your first idea is exactly what I would do! You’ll get that beautiful caramelization from the broiler.